The darker nights are definitely drawing in, so the cold won’t be long behind them. As the weather in Ireland turns colder, you’ll need to give more thought to how you heat your home efficiently, and if you’re doing all you can to get value for money from your home heating oil spend. With this in mind, it’s time to winter proof your home heating oil tank. Here are the best ways to do this to ensure the bad weather doesn’t impact on the supply of oil to your home, so you can stay toasty indoors. Frost is a troublesome worry for Ireland homeowners in the cold weather, not just for water pipes but for your fuel pipes too. If there is any water condensation in the fuel lines, this can freeze and cause blockages which means that the fuel supply is interrupted and your boiler can’t burn any oil to heat your home. Check out this handy video on how to lag your pipes properly. Check the base of your oil tank and around the pipes where the joints and fixtures might be cracked or broken. If you spot anything untoward, get it fixed straight away as with the colder weather, these problems will only worsen. An oil leak can have serious consequences for the environment around you and your home, so it needs to be your responsibility to make sure everything on your oil tank is in good working order. If there is a heavy snowfall this winter, these defects and dents could become even more pronounced with the weight of the snow on top of them, so keep an eye out for any further damage to your tank and after a heavy snowfall, always brush the snow off the top of your tank to avoid adding unnecessary strain to it. 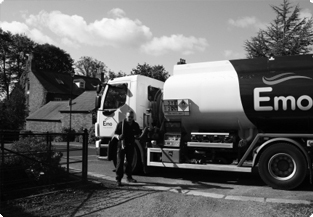 In order to completely winter proof your home heating oil tank you need to ensure that it is secured, as winter is a more common time for fuel theft. Invest in a tank lock or a tank alarm for peace of mind. If there are fuel thieves operating in your area, be a good neighbour and be vigilant towards suspicious activities and report them to the police. If it’s been a while since you last topped up, you might need to oil your tank lock to make sure you can easily remove it before you receive an oil delivery. If you get oil delivered and your delivery driver can’t get access to your tank, you’ll have to reschedule it for another day. Finally, the most important part after all your preparations are complete is to remember to order home heating oil before you completely run out. 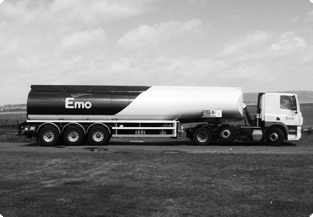 Contact us anytime for a competitive heating oil quote and we’ll deliver to you as soon as possible.